Preparations are now well under way for the Archives & Copyright: Developing an Agenda for Reform conference which is due to be held at the Wellcome Library on the 27th September 2013. Registration opened in June and reached capacity at the beginning of July; clearly copyright law continues to be a matter of real concern for the UK archive community. The proposed library and archives exceptions to UK copyright law are currently under draft review, and consideration of these forthcoming legislative changes will occupy much of the discussion on the third panel of the conference programme. Robin Stout and Nick Munn, of the Intellectual Property Office, will present the latest iterations of the draft exceptions, while also speaking to the government’s view of risk-based models of copyright compliance. Tim Padfield, Information Policy Consultant and former Copyright Officer of the National Archives, will respond to both Robin and Nick’s comments on behalf of the UK archive community. Martin Kretschmer, as panel chair, will also offer a perspective on the proposed Orphan Works scheme following the recently published Copyright and the regulation of Orphan Works study. There will be three other panels throughout the day. The first provides an opportunity to learn more about the Wellcome Digital Library’s Codebreakers project, as well as other current and forthcoming digitisation initiatives being undertaken by the Wellcome. Speakers include: Simon Chaplin, Head of the Wellcome Library; Christy Henshaw, Digitisation Programme Manager; and Caroline Herbert, former Copyright Officer. Lesley Richmond, Deputy Library Director and Archivist at the University of Glasgow, will also discuss her experience of working with the Wellcome Library as an external partner to the Codebreakers project. In the second panel, Victoria Stobo will discuss the risk management strategy adopted by the Wellcome Digital Library for the Codebreakers project, and the relevance it may have for other archives and cultural heritage institutions interested in making their holdings available online. Simon Chaplin and David Mander, Vice-Chair of the Archives and Records Association, will have an opportunity to respond, before attendees address their own questions to the first and second panels. The final panel of the day will see Professors Peter Jaszi, Peter B. Hirtle and Matthew Sag discuss how cultural heritage institutions in the US work with copyright law, and in particular the ongoing Authors Guild v. Hathi Trust case (currently on appeal). Matthew Sag (Loyola University) will discuss his experience working with lawyers, librarians and digital humanities scholars in preparing amicus briefs for Authors Guild v. Hathi Trust. Peter Jaszi (American University) will speak about his work with various creative and cultural sectors in the US – documentary film-makers, academic research libraries, and memory institutions – in developing best practice norms of copyright compliance and management that are appropriate for those sectors. And Peter Hirtle (Harvard University), author of Copyright & Cultural Institutions, will conclude the event with a set of reflections on copyright and risk management in the cultural heritage sector. 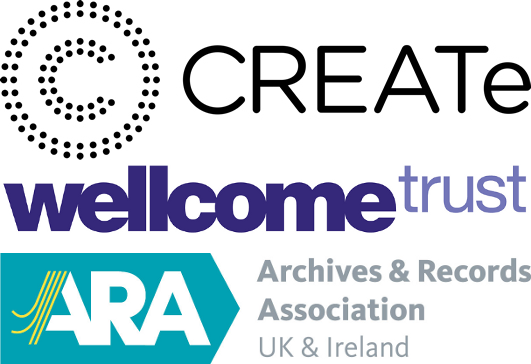 Archives & Copyright is the culmination of CREATe Work Package 1B1: Copyright & Risk: Scoping the Wellcome Digital Library Project, a short case study designed to assess the Wellcome Digital Library’s use of a risk managed approach to rights clearance. Publication of the Copyright & Risk Project Report will follow the conference, ensuring that relevant comment and analysis from the day can be included. In addition, a set of conference proceedings in the usual CREATe style, incorporating videos, transcriptions, presentations and papers where available, will be made available as an open access web resource in early 2014. A linked PhD study (Archives, Digitisation & Copyright) begins in September, and it is hoped the Archives & Copyright web resource will continue to grow over and beyond the lifetime of the study. An event page, including a full programme, can be found here.